Being a woman in technology can be a lot of things – exciting, a learning opportunity, difficult, empowering, discouraging. Chances are, you’ve probably felt a myriad of conflicting emotions in your career as a woman in technology. With the challenges of being a women in tech, it can be easy to feel the more negative emotions, like discouragement. Ivanti’s new #MySuperPower campaign is all about celebrating women in technology and helping women feel more empowered. We asked women to take a picture of themselves highlighting one of their strengths on a card. From there, they were encouraged to post the picture on social media using the hashtag #MySuperPower. In the first day of the campaign, we received over 100 submissions from around the world. We have participants in every corner of the globe, from Tokyo and Poland to Dublin and Colorado. It takes time to think of your strengths – For almost every woman we asked to participate, they all needed time to consider what their strengths were. This just reinforced to us the value of this campaign! We want women everywhere to be very aware of all of their strengths and excited to share them. 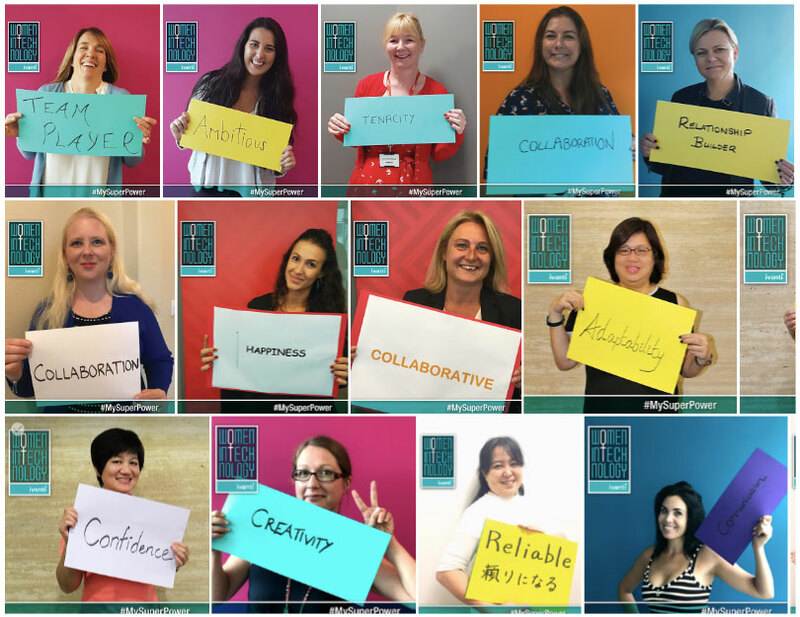 Celebrating strengths brings us together – As I went through submissions from women I’ve never met, I felt bonded to them as I read their strengths. It’s exciting to see what traits women bring to the industry. We are too hard on ourselves – As my fellow coworkers took their photos in the office today, I noticed they’d look at their picture and point out all of the things they didn’t like about it. As I went through the 100 submissions so far, I didn’t see one picture to be embarrassed of. I only saw beautiful, strong, talented women. It’s easy to be involved in the campaign! Take a photo of yourself holding a card highlighting one of your strengths. Share the photo on social media using the hashtag #MySuperPower and tag @GoIvanti so we can see it too. SEE THE RESULTS: We polled over 500 women in technology to discover their insights into being a woman in tech.